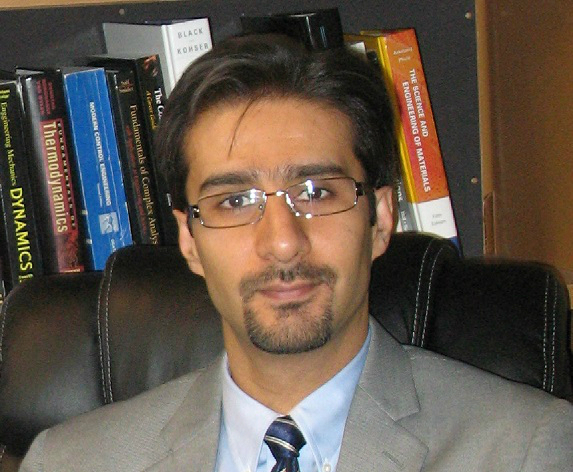 Mohsen Asle Zaeem, associate professor of mechanical engineering at Colorado School of Mines, has been awarded funding from the U.S. Department of Energy for research on shape memory functional oxides. Shape memory functional oxides (SMFOs) are solid-state transducers and may sense thermal, mechanical and electric stimulus, making them useful in a wide variety of applications, including actuation, energy damping and energy harvesting. Asle Zaaem and his team will use a combination of large-scale atomistic simulations and phase-field modeling to study the effects of intrinsic and extrinsic characteristics on the deformation mechanism, phase-switching property and defect formation/evolution process, specifically in single crystalline and polycrystalline nano- and micropillars of yttria-stabilized tetragonal ZrO2 (YSTZ) and BiFeO3. “Development of advanced quantitative computational models for fundamental understanding of phase-switching behavior and defect formation process and predicting the properties of SMFOs are necessary for the future design of shape memory ceramics that can function for a high number of thermo-electro-mechanical fatigue cycles,” he said.